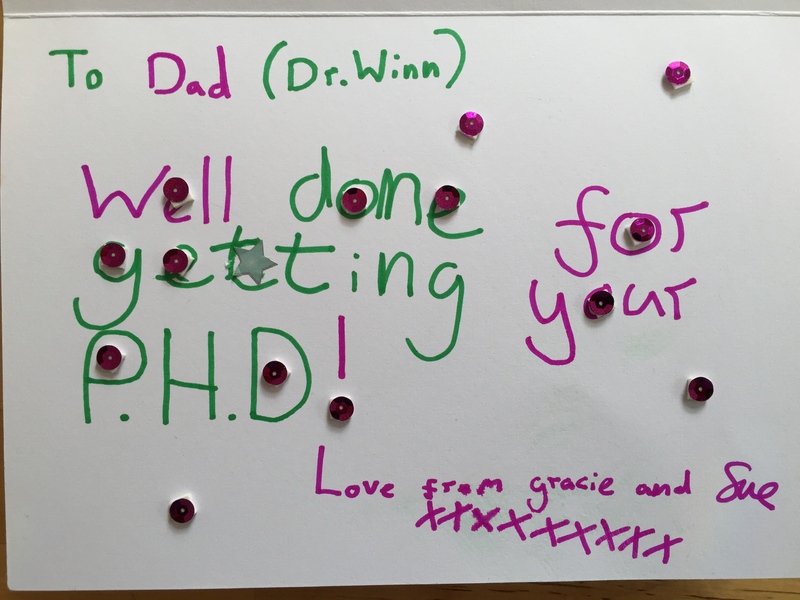 I passed my PhD viva yesterday. Below, is the Introduction to the Commentary, which I was required to defend along with the publications. The entire ‘thesis’ is available to download from the University of Lincoln’s institutional repository. Thank you to my examiners, Siân Adiseshiah, Joyce Canaan and Ana Cecilia Dinerstein, and to the viva Chair, Alec Shepley. Most of all, thank you to my colleague, friend and supervisor, Mike Neary. I’ll write more soon about doing a ‘PhD by Published Work’. This commentary provides an overview of a body of work that was published between 2009 and 2015. It summarises the significance of the contribution of that work and establishes its coherence both chronologically and thematically. The wider context to which my work responds is the marketization of UK higher education since the early 1990s and the concurrent conceptualisation in the UK of students as consumers (Naidoo et al, 2011). For those of us who are critical of this shift in higher education, which follows a broader destruction of the welfare state in the UK (Huber and Stephens, 2010), one response is to re-engineer the organising principle of higher education so that students are understood as ‘producers’ of knowledge and academic collaborators. In doing so, my co-authors and I have aimed to reinvigorate the processes by which universities are seen as sites that openly contribute to the general intellectual well-being of society (Neary and Winn, 2009). In the absence of such a response, a combination of market competition among universities (Palfreyman and Tapper, 2014), and students coerced by a ‘pedagogy of debt’ (Williams, 2006) defines the social purpose of the university as instrumental to the needs of capital and an individual rather than social good. In effect, this shift can be understood in terms of the welfare and intellectual life of students being increasingly subsumed by the imperatives of capital (Wood, 2002) and subordinated to the reproductive requirements of labour under capital (Rikowski, 2002). Within the confines of working within higher education, the political project of my research has always been against such imperatives and subordination. The body of work discussed here provides a substantial and original contribution to knowledge in the following ways: By subjecting ‘open education’ to a negative critique based on Marx’s categories of the commodity, value and labour, I reveal fundamental features of the ‘academic commons’ that have not been identified through critiques that neglect the materiality of openness and technology. In order to illustrate this, I examine how ‘hacking’ (out of which the Open Education movement developed) was not only a cultural phenomenon but a form of academic labour that emerged out of the intensification and valorisation of scientific research. I develop this by exploring how ‘value’ is an underlying and mediating imperative in higher education, and illustrate how using a ‘form-analytic’ approach helps us reconceive the social form of knowledge and the roles of teacher and student in a way that most treatments of academic labour fail to do. I also demonstrate how it is possible to go beyond this critique by adopting a position of methodological negativity, against labour rather than from the standpoint of labour, to construct a theory for an alternative to the capitalist university: co-operative higher education. By combining this theoretical and practical work with emerging ideas on ‘open co-operatives’ in other areas, I show how new forms of higher education cannot be based on existing practices of reciprocity based on the production of value, as is often assumed, but rather on a new and directly social form of knowledge production that emerges out of the free association between individuals who recognise that we have much to learn from each other. Neary, M. and Winn, J. (2009) The student as producer: reinventing the student experience in higher education. In: Bell, L., Neary, M. and Stephenson, H. (eds.) The future of higher education: policy, pedagogy and the student experience. London: Continuum, 126-138. Hall, R. and Winn, J. (2011) Questioning technology in the development of a resilient higher education. E-Learning and Digital Media, 8 (4) 343-356. * Winn, J. (2012) Open education: from the freedom of things to the freedom of people. In: Neary, M., Bell, L. and Stephenson, H. (eds.) Towards teaching in public: reshaping the modern university. London: Continuum, 133-147. Neary, M. and Winn, J. (2012) Open education: common(s), commonism and the new common wealth. Ephemera: Theory & Politics in Organization, 12 (4) 406-422. Social Science Centre, Lincoln (2013) An experiment in free, co-operative higher education. Radical Philosophy, 182, 66-67. Winn, J. and Lockwood, D. (2013) Student as Producer is hacking the university. In: Beetham, H. and Sharpe, R. (eds.) Rethinking pedagogy for a digital age. London: Routledge, 218-229. * Winn, J. (2013) Hacking in the university: contesting the valorisation of academic labour. tripleC: Communication, Capitalism and Critique, 11 (2) 486-503. * Winn, J. (2014) Writing about academic labour. Workplace: A journal for academic labour, 25, 1-15. * Winn, J. (2015a) Open Education and the emancipation of academic labour. Learning, Media and Technology, 40 (3). * Winn, J. (2015b) The co-operative university: Labour, property and pedagogy. Power and Education, 7 (1) 39-55.